I’m extra early with my Top 5 Wednesday this time. I’m turning in early so this Wednesday meme is going up on a Tuesday. Top 5 Wednesday #6: Get Your Own Series! I don’t know why but this week has been exhausting though I haven’t done anything strenuous. I was so tired last night and the night before that I forgot about Top 5 Wednesday and skipped Top Ten Tuesday. But since the steam from Wednesday is still lingering around, I decided to go ahead and do this post. I’ve just completed Christopher Paolini‘s latest installment in the Inheritance Cycle series, Inheritance, (actually, I completed it about a month ago and have just gotten around to writing this blog but let’s act like I’ve just finished reading it) and a sense of satisfaction engulfs me. Things feel complete. I totally enjoyed the story, long as it is. Despite the drag in the pacing of the storytelling in certain parts, Paolini did a good job of wrapping things up without providing a cheesy ending ( a la JK Rowling). This last book brought everything full circle, while leaving room for the possibility of spin-offs on various characters. 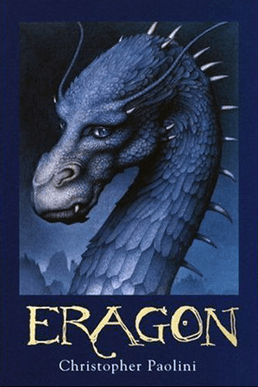 There was a lot that the protagonist, Eragon, had to learn in this series and, in turn, the reader. I was apprehensive because I did not believe that Paolini would succeed in tying all the loose ends together. Thus, after the fight at Dras-Leona, I became a bit anxious because I realized that there were only a few pages left and Paolini seemed to have A) forgotten about Angela B) forgotten to mention Sloan and C) forgotten to mention what the Tree in Ellesmera was to take from Eragon. Fortunately, there was no need for my worries because he smoothly wraps it all up in the final chapters; although, I do believe that at times he took the easy way out in terms of his explanations. For example, the Tree in Ellesmera was supposed to take something from Eragon but in the end, it seems that the she decided not to. I believe she should have. But it seems that she chose not to because Eragon proved himself to be honorable by returning to pay his debts.